Directionals! SIDE NOTE: For any of you reading this that do not live in the New England area we are talking about turn signals. I understand using a directional (turn signal) is very confusing and it is certainly an inconvienance when you are driving while drinking your Latte and talking on the cell phone. But they install directionals (trun signals) for a reason people…and that is to inform the drivers behind you that you are turning. So put the phone down, stop checking your make-up, don’t try and feed the baby you have in the back seat and use your FREAKIN directional (turn signal). But he did use his turn signal. And please, I’m begging……use the directional (turn signal) before you get to the road you are turning onto. 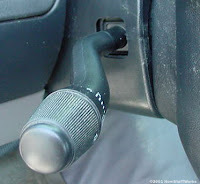 It doesn’t do anyone any good if you turn on the directional (turn signal) half way through your turn. Here is a rule for you drivers out there…..if you hit the brakes before hitting the directional then you did it too late. THIS DRIVES ME CRAZY!!! !